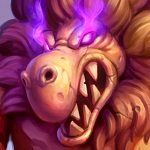 Our Clone Priest deck list guide for The Boomsday Project features an early, theorycrafting list for this potential upcoming archetype. Combo Priest has been one of the all-star deck archetypes since the golden days of Vanilla Hearthstone. The basic combination of Divine Spirit and Inner Fire not only produces big minions with low effort, it also conveys this very unique feeling of power that even the smallest minion on the board could get turned into a lethal threat. 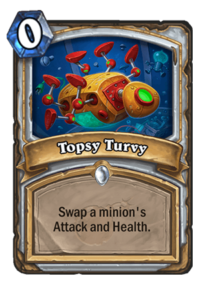 Health and Attack manipulation for Priest has been in Team 5’s design focus for a long time, and Boomsday Project is no exception. Combo Priest, or as we call it from now on, Clone Priest, could make a splashing entrance to the tier lists with the release of Hearthstone’s newest expansion. Keep in mind that this theorycrafting is still in its early form. 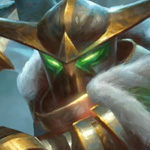 It will be constantly updated as new cards fitting the deck list will be revealed. Mulligan and strategy guides will be added to the final version. 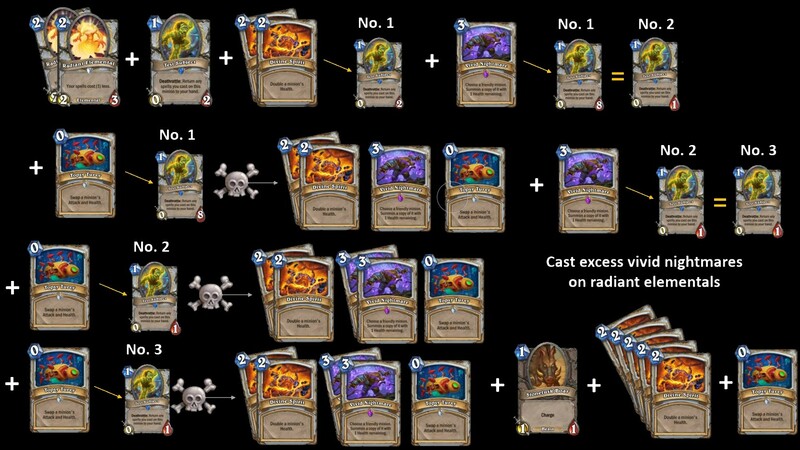 As already said, iterations of Combo Priest have been around since forever, and that is why every single player should know the basic win condition of this deck as well: Board presence is everything, because you often need only one minion that can attack the following turn. Due to the “potential nature” of Divine Spirit, even the weakest creatures with low amounts of health can be turned into a win. Back in Kobolds and Catacombs, Combo Dragon Priest was one of the most successful archetypes. 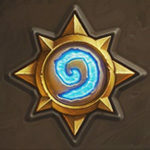 It held a top spot in the tier lists over long periods of the meta game and, after long absence, brought Priest back on the competitive menu. We try to take the base of Combo Dragon Priest from last year, and with the help of some new Priest cards we turn it into Clone Priest! 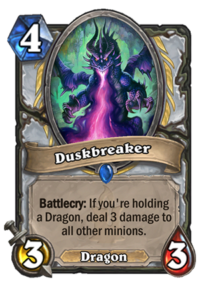 Duskbreaker secures the board in the early and mid game so that other minions can stick to the board; Twilight Drake serves as a great mid game threat against control archetypes, and Primordial Drake will both secure your board state and provide 8 juicy health points ready to be buffed into infinity. With them is Twilight Acolyte, the single-greatest addition to the dragon package. With a decent 2/4 body for 3 mana it can fight on its own; but with dragon support it turns into a complete swing-turn machine. Its best buddy is, of course, Cabal Shadow Priest, because who wouldn’t like a 2/8 Mountain Giant besides an 8/4 and a 4/5 for a mere 9 mana. Another essential part of Clone Priest is the basic card draw package. Northshire Cleric, Power Word: Shield, Radiant Elemental and Shadow Visions not only provide you with more but also with the right cards to directly increase the potential of board threats. Especially Shadow Visions can result in a total of 4 copies of Divine Spirits, which is incredibly important against high-armor archetypes like Taunt Druid or Control Warrior. Lyra the Sunshard tops off the card draw package as another way to cycle through spells for the wrong situation, something that happens regularly in control matchups. But now to the new part of the deck, the clone package! First off, there’s Test Subject, one of Priest’s new minions. On first impression, a 0/2 for 1 mana looks very underwhelming. 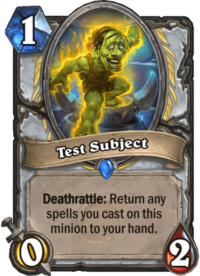 However, the deathrattle is what makes this card very interesting for any Combo Priest archetype: Once Test Subject dies, it brings all spells you cast on it back to your hand. What exactly does this mean for Clone Priest? Well, first off you can use Test Subject to apply early pressure. In the past, Divine Spirit and Inner Fire were your most valuable spells, and if you wanted to use them in the early game on minions like Northshire Cleric or Radiant Elemental, you had to be sure that it either seals the game or saves your life. This changes with Test Subject, because you will be able to bounce back your own spells while being able to repeatedly interact with the board state. But wait, there is more! A new spell called Topsy Turvy makes it possible to get back your most valuable resources when you want or need them. Thanks to the ability to swap Attack and Health of a minion, you can kill off your own Test Subject that you previously buffed with Divine Spirit. With the cards showcased so far, you would only get back what you’ve invested earlier. As an example, if you cast Topsy Turvy on a Test Subject with two copies of Divine Spirit, you would get back Topsy Turvy and two copies of Divine Spirit. Doesn’t really come close to cloning, right? And that is where Vivid Nightmare comes in as the last puzzle piece. This very specific spell introduced with the Witchwood expansion copies a friendly minion of your choice with 1 health remaining. Now back to our earlier Test Subject example: Let’s say we clone our Test Subject with two copies of Divine Spirit thanks to Vivid Nightmare just before we kill it with Topsy Turvy. We then get two copies of Divine Spirit, Topsy Turvy AND Vivid Nightmare back to our hand, just like in the previous example. However, we then also have a new Test Subject #2 on the board with 1 health remaining. And you know what we get after we kill that second Test Subject with Topsy Turvy? Two copies of Divine Spirit and Topsy Turvy! Long story short: Thanks to Vivid Nightmare we are able to multiply our invested resources and return them back to our hand. In our example, we’d be able to clone two copies of Divine Spirit for 8 mana. What may sound a tad expensive is definitely more doable with 4 mana and one Radiant Elemental on board. If you can save up two copies of Radiant Elemental you will be able to pull this off for 1 mana in total. Even better, for 1 mana per Vivid Nightmare you can clone more and more copies of Test Subject and Divine Spirit. On top of that mountain of theorycrafting, Priest’s new legendary minion makes sure you keep your buff game on point: Zerek, Master Cloner perfectly fits the theme of this deck, and we know from the past that minions with a resummon deathrattle effect can ruin any opponent’s game plan, especially if the have a limited amount of board clear. A single Power Word: Shield is enough to make sure that Zerek, Master Clonerr will stay on the battlefield if your opponent doesn’t have any Polymorph-ike spells. And that is the whole magic behind Clone Priest! Thanks to the combination of Priest’s classic toolkit and new additions from the Boomsday Project, this archetype could definitely shake up the early meta game of the new expansion. I think it’s best to keep Test Subject in your hand so it doesn’t get silenced. Play it only when you can get the spells back immediately. Better yet, wait for Boar too, and Mass Dispel if there are enemy taunts, for a true OTK. I don’t have a replay but my very first Boomsday match was a Priest mirror between two Clone Priests with lots of tutor and card draw. We literally played the same stuff every turn, but I happened to not be on the coin so I had the OTK first. It’s possible to do the entire combo in the picture in one turn, for 9 mana if I’m not mistaken. Clone enough Radiants to make all your spells free; four of them should do the job. What do you think about adding in a Mirage Caller or 2? I think it could have value! Just try to keep your base deck together, because you need a strong base to carry the weak combo pieces. 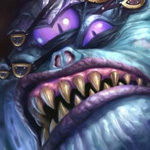 Trump rated test subject 5 star and forget that shudderwock shaman running 4 silent. As i said in other comments, this deck is not about buffing a minion over multiple turns. If you want to play Combo Priest successfully, you have to make your opponent waste board removal and silences early so that you’ll eventually have a minion up that could make the kill next turn. Test Subject is there to clone your precious spells in one or two big turns; that means you’ll have everything going for you after the turn ends, so no silence really helps anyway. Two things: this is probably not gonna work. If you do get a Test Subject out early and start buffing it according to the plan, the enemy will Silence or transform it. Thus, your spells WON’T come back. Secondly, I would definitely include one copy of Mass Dispel. If a minion sticks on the board and you have the combo, it’s really annoying if you can’t go through 1 or 2 Taunts for lethal. With Shadow Visions you can fetch a copy of it if necessary, but you really need something against Voidlords & co.
Let’s say this is how the curve goes: T1 you drop Test Subject, T2 PW:Shield + PW:Shield, T3 Divine Spirit + Inner Fire for some sweet 12 face damage. Then you enter T4 where you will get Spellbreakered, Polymorphed or Hexed immediately. Not to mention that Aggro will attack your minion while it has 0 attack. The Nightmare / Topsy Turvy combo can be viable starting Turns 5+, but by that time your opponent will have already disabled the Test Subject. I know I would. “T1 you drop Test Subject” That’s where you should already consider your line of play. You don’t want to kill your opponent with Test Subject, at least not in your average game. Even against Aggro you want to play Radiant Elemental or Northshire early, because a big Test Subject will not help against many low-health minions. I agree on the Mass Dispel part. I’d even like to see a Pyromancer in upcoming lists, just because it’s so incredibly good against all Aggro decks. As we know from two expansions ago, Combo/Control Priest have a lot of tech cards to their hands that don’t change the base package at all! Call me crazy, but I honestly think screw the dragon package. Put in tutors for the combo (sandbinder, witchwood piper), more card draw (novice engineer, acolyte), and you have yourself a very reliable and quick way to have turn 7 lethal. And Aggro will kill you by Turn 5 instead. I made sure to include spirit lash, double copies of sw pain and death, and a holy nova. I know it isn’t much but it should, yes, decrease your aggro WR, but should skyrocket your combo and control WR. I think it’s very hard to throw away the dragon package. Duskbreaker does everything you want and more. You don’t need Nova, you don’t need SW:P.
Nice deck, i hope it will Work in the meta. But i ll had one or two silence or mass dispell to get sure you can pass through taunt.